Hi I'm new here and the title of this post might sound like a joke but it isn't. I hear voices but the problem is they don't come from inside my head, they come from outside. On three occasions they told me something that was going to happen ten seconds before it happened. I'm not talking about "you're going to see a pigeon", I'm talking about three very specific things, like the name of a chemical element on a quiz show. I'd rather not specify as I've told a couple of close friends about them and they could identify me but I am in no doubt that these voices are coming from outside of me. I have seen that there is a spiritual section in this forum but I'm too scared to go in there because I don't want to read anything that will reinforce it. The voices only say the same few words on constant repeat, but I also get twitches that support the voices and are in response to my thoughts. Eg if a voice says "give" ie give all your money away, I'll get twitched on the right for "that's right". I get thoughts as well as voices, and the thoughts, voices and twitches all back each other up. Between the thoughts, voices and twitches, I've been told that I will go to hell unless I do what the voices/thoughts/twitches tell me, because they are coming from God, and I have to prove complete obedience to God. Additionally, all my psychotic symptoms only ever came on when I went through a few days of intense prayer, and so now I've finally learned not to say any more prayers. They are trying to make me harm myself and humiliate myself in order to prove complete obedience, and I'm going to hell because I won't do what they tell me. They constantly tell me to give all my savings away, and I have had thoughts about harming myself and humiliating myself and then I get twitched on the right hand side of the body for "that's right". I did give ten thousand pounds away a lot of years ago because of the voices but then I recovered from the psychosis and a man in the CAB helped me get about 90% of it back. But now they want me to do it again and not get it back. I've been sectioned and I took four different drugs at varying points, but even back when I thought the voices were coming from inside my head, the drugs still didn't work. I absolutely believe that I am supposed to obey them but I'm not doing it and so I'm going to go to hell and I'm terrified. I previously bought materials to kill myself to get away from the voices, but it's only today that they've told me I'm going to hell if I die, so now I don't even know if I can kill myself. I wouldn't have been killing myself any time soon anyway as I live with my elderly mother and I wouldn't leave her but I had plans to kill myself once she had gone. I'm very distraught because I absolutely believe it's all coming from God and I can't escape it even by dying. I do work but I don't think I'll hold on to my job for much longer after this latest revelation. I'm panicking nearly all day long now, and have the voices/twitches/thoughts to contend with too. I know there's maybe nobody else in here who thinks they're going to hell, but I just wanted to join in here as it's the only place where I will get coping strategies for the remaining time that I'm alive. although, probably not that extent, I've been afraid of going to hell. I've also been manipulated by spiritual forces. I've even had some twitches similar to what you've experienced. Could it be that this is coming from, not God, but a spirit or force that really wants harm for you and wants you to think they are God? I'm not sure what you believe about God, but I believe He is merciful and kind, not willing that anyone should perish. You obviously care a great deal about what God thinks and you pray intensely. I don't believe God would want you to harm yourself. I hope you don't go through with your plan to kill yourself, troubled. first of all those voices aren't coming from God, he would never judge you or frighten you by saying do as I say give your money away or else you are going to hell.Trust not these voices and don't believe them.Try getting them to go quite by sending them on to someone strong that you trust and imagine how they would deal with them,they won't listen to them and they won't give their money away and they won't fear and believe cos they don't listen they are going to hell! My advice is see these voices as naughty children,bullies that get their laughs out of scaring you and stand up for yourself.You think the voices are from God speak to God and pray for peace it works for me. God loves us and wouldn't harm us in this way,they are more likely voices coming from your own subconsicous fears regarding going to hell when you die.We were all taught to fear hell and the devil! 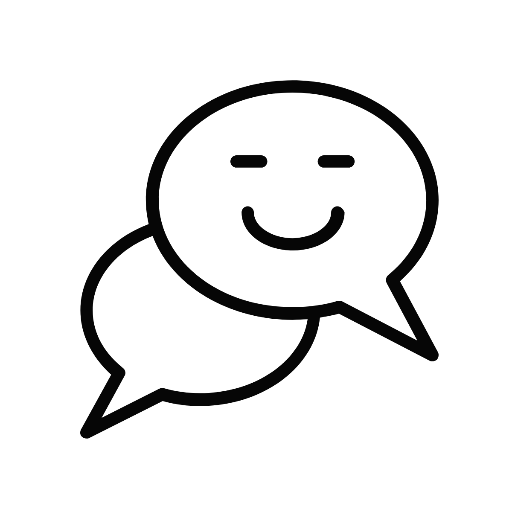 Try reading the Hearing Voices part of the forum to learn how to cope with your voices and read about other people's experiences of hearing voices. During my first major psychotic episode 26 years ago, i was convinced that i'd lost my soul to the Devil & was going to hell for eternity, & that there was Nothing that i could do about it. It is actually a pretty common delusion with schizophrenia. Religious delusions of various kind often feature within psychosis. i have worked through all that. imo hell, demons & the devil do Not exist in any kind of literal sense. I also had some thoughts like that and very extensive touch experiences! It seems to be a recurring theme experienced by quite a few people. The voices do like to play tricks, and pretending to be God or Jesus is quite common. So what I'd advise is test the voices, see if they are at all like what you'd expect God or Jesus to be. You could ask the voices to predict what's on the next page of your newspaper (God would know), or talk a bit about what was in the Sermon on the Mount (not unreasonable if they're really Jesus). My experience is that voices can't do things like that. They can't even do a simple maths problem, I've never yet heard of any voices that could correctly figure out what 2+2 was. So stand your ground, keep questioning them, and see if you can get them to reveal what truly motivates them, what emotion is at the core of their story. Anyway you might find it helpful to read some of the other stories of people who have experienced voices that we have here on the forum, it's pretty wide ranging! Hope you find your balance, and don't worry, you're not going to hell. Hi everyone, thanks very much for your kind replies. It is helpful to know that there are other people with hell/demon thoughts. But I can't get away from the fact that it all came on after I'd been saying prayers suddenly (not something I used to ever do and certainly don't do now). I don't think there is any spirit out there that can manifest after a prayer to God unless it is aligned with God. That's where all my worry comes from and why I have to believe them. I spent most of my life not saying prayers and then four times in recent years I took a notion to say intense prayers, and four times I went psychotic within a day or two of saying the prayers. I just can't believe that a malicious spirit could turn up after I had said prayers to God/angels, unless that maliciousness actually had an aim ie to see if I can be completely obedient. Anyway, I'm going to have a look at the links you posted. Thank you all once again for the links and for your reassurances and I'm glad I came here. I don't think there is any spirit out there that can manifest after a prayer to God unless it is aligned with God. That's where all my worry comes from and why I have to believe them. I have some thoughts about that. If you look at what happens with mystics, intense prayer or meditation can produce a "breakthrough" experience, where you are suddenly open to a variety of things. In them this then leads to varied experiences before further practice causes the experience to evolve. Maybe something similar happened to you. You might want to read some of the literature about spiritual crisis, that could be helpful. imo hell, demons & the devil do Not exist in any kind of literal sense. Journey of Souls by Michael Newton (& others by the same author). Exploring the Eternal Soul by Andy Tomlinson. Worlds Beyond Death by Grant Pealer. Unless of course you are Christian like naominash and decide you are comfortable with a worldview that includes angels, demons, saints and so on. But I suspect that after a long enough period with voices you will start to tend towards alternative spiritual explanations, it's happened before. Maybe she'll convert to Buddhism? Thanks Kerome but I'm too scared to go near anything religious at the minute. Basically the voices are now telling me that I'm the only real thing in the world and that nobody else is real, and this means that all literature and so on is fine for everyone else but doesn't apply to me. The reason I can't get away from this thought is because apart from the voices/twitches/thoughts telling it to me repeatedly, on this occasion that I've gone psychotic, I'd been using an alternative health technique called Emotional Freedom Technique. The four other times I went psychotic, it was because I said prayers, and this time it's because I was trying to clear negative emotions with EFT. I've read loads of testimonials and I know EFT has worked for thousands of people, but I had a go at it two weeks ago and now I'm completely mad. It just reinforced the view that I'm the only real person around and that's why EFT works for everyone else but not me. And this is why books will say all sort of nice things about God and the afterlife but they don't apply to me because they're not real. I don't think that I'm a special case, I just think that everyone else is somewhere in a parallel universe where only they are real. So in their parallel universe, they're real and I'm not, and in my parallel universe, I'm real and nobody else is. I know how mad it all sounds but it's really hard to discount it when I'm hearing voices coming out of the cord pull in the bathroom, and voices saying "you will" when I shut the front door (as in you will do what we say, sooner or later), and I hear voices coming out of birds saying "please", as in please give all your money away. They've told me that I have to go into work with no clothes on and when I said to myself "No way is that ever going to happen," they said, "you will," and then gave me the thought that they were going to take over my body and force me to do what I'm told. So today I called the psych nurse and they're trying me on new meds but I did tell the psych nurse that the voices had on three occasions told me what was going to happen ten seconds before it happened. I told her that I thought the voices/twitches/thoughts were all coming from spirits. Well at least I've got a sick note and don't have to go into work because I've been in work when I was psychotic and it was very tough. Thanks everyone again for your thoughts. I remember when, I was watching T.V., God seemed to be sending messages directly to me and influencing the people on set. Psychosis feels like a newer, more powerful reality breaking in to our regular lives. That's why it's so hard to dismiss. I really feel for you Troubled, its a very difficult phase to go through. I remember when I was psychotic and even though I had decent insight and emotional balance (as you appear to as well) it stayed confusing, uncertain and took its toll on my ability to focus, relax and enjoy other things. I know how mad it all sounds but it's really hard to discount it when I'm hearing voices coming out of the cord pull in the bathroom, and voices saying "you will" when I shut the front door (as in you will do what we say, sooner or later), and I hear voices coming out of birds saying "please", as in please give all your money away. I think you will find it becomes easier when you pay more attention to what the voices are actually saying. They don't say much - a fragment here or there, and the rest of it is our brains filling in the gaps. Once you ditch that habit, don't listen to the thoughts and do check what they actually say, it is easier to not become so lost in the thoughts that appear. You can recognise the pattern even in what you wrote above, the voices say something short and you end up extending it in your thoughts and giving it more meaning. I don't know what's happened but the psychosis has gone, although not the voices. I got picked up by the police twice in two days for walking around the streets with no shoes on and no coat, and got taken to the hospital the second time. For some weird reason, as soon as I sat on the bed in the A&E cubicle, the entire psychosis vanished but the voices remain. For two solid days I thought the nuclear war was coming and then it all vanished in an instant. I still believe my voices and the psychosis are caused by evil spirits. I think that's why the whole thing evaporated in an instant. But it's such a relief to no longer believe the war is coming, even if I do still have the voices. I've also gotten rid of the belief that I'm going to hell, which is a great relief. You are absolutely right Kerome, my voices actually say very little, but I do believe the thoughts come from them as well. The sort of thoughts I've been having over the last couple of days were just so far from the normal me that I don't believe they could have come from me. I'm feeling a lot braver now that I'm not going to hell so I'm going to go into the alternative perspectives forum and see if anyone else thinks their voices come from evil spirits. i believe my voices come from evil spirits, i even have a spirit on my back and head, draining me of life force. It sometimes tries to take over mentally but i rebuff them. p.s when i had my psychosis i thought i was going to be burned alive and probably go to hell. It must be quite common. I convinced myself im going insane.